I am a Chartered Health Psychologist and an Associate Fellow (AFBPsS) of the British Psychological Society, I am also a Registered Psychologist with the Health & Care Professions Council (HCPC,UK) and National Delegate for the European Health Psychology Society. I serve on the editorial boards of the Journal of Health Psychology, Journal of Cross-Cultural Psychology, and Health Psychology Open. I also serve as a regular reviewer for a number of peer-reviewed journals within the disciplines of psychology, health and the social sciences. My research interests lie broadly in the psychology of health and health behaviour, and the influence of gender and cultural values on health and health behaviour. 2010 “Honorary Fellow” School of Community, Health Sciences & Social Care, The University of Salford. 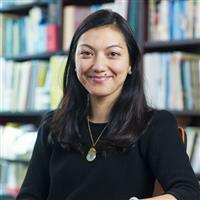 The relationship between productive engagement, loneliness and well-being among older adults in Hong Kong, Strategic Research Grant, City University of Hong Kong , 2016 - 2018, T.L. Rochelle (PI). Constructions of masculinity: A bicultural and cross-cultural examination, Early Career Scheme, Research Grants Council, 2014 - 2016, T.L. Rochelle (PI). Examining the psychometric properties of the Chinese Post-Traumatic Growth Inventory (CPTGI) for patients suffering chronic diseases, Health & Medical Research Fund, Food & Health Bureau, 2014 - 2015, C.H.K. Cheng (Co-PI), S.M.Y. Ho (Co-PI), T.L. Rochelle (Co-I). Attitude towards and utilisation of traditional Chinese medicine and Western medicine among Chinese in Hong Kong: An intergenerational perspective, Start-Up Grant, City University of Hong Kong, 2011 - 2012, T.L. Rochelle (PI). Constructions of masculinity and their influences on men’s well-being in Hong Kong, College Research Grant, City University of Hong Kong, 2011 - 2013, T.L. Rochelle (PI). How the UK’s Chinese migrants from Hong Kong manage their dual UK-HK social networks in ways that may affect their use of formal health and social care supports, HK-UK Bilateral Fund, Economic Social Research Council, 2010 - 2013, S.M. Shardlow (Co-PI), S.H. Ng (Co-PI), T.L. Rochelle (Co-I). Cheng, C. H.K. , Ho, S. M.Y. & Rochelle, T. L. (2018). Psychometric properties of the Chinese Post-Traumatic Growth Inventory in patients with chronic diseases. Hong Kong Medical Journal. 24. S16 - S19. Rochelle, T.L. , Shardlow, S.M. & Ng, S.H. (2013). Factors associated with healthcare utilisation among British Chinese. Psychology & Health. 28. (pp. 141 - 142). Ho, S.M.Y. , Rochelle, T.L. , Law, L.S.C. , Du, W. , Bai, Y. , Shih, S.M. & Wang, G.L. (2014). Methodological issues in positive psychology research with diverse populations: Exploring strengths among Chinese adults. Perspectives on the Intersection of Positive Psychology and Multiculturalism. (pp. 45 - 57). New York. Springer. Wu, J. , Lo, T.W. , Au, E.S.C. & Rochelle, T.L. (2011). Motives behind volunteerism: A study of Hong Kong university students and the influence of gender. Advances in Sociology Research. (pp. 199 - 209). New York. Nova Science Publishers. Rochelle, T.L. , Lo, T.W. & Ng, S.H. (2010). The relationship between gangs and social capital. Social Capital in Hong Kong: Connectivities and Social Enterprise. (pp. 181 - 217). Hong Kong. City University of Hong Kong Press. 2019 - Now, Editorial Board, Journal of Cross-Cultural Psychology. 2014 - Now, Editorial Board , Journal of Health Psychology. 2014 - Now, Editorial Board, Health Psychology Open. 2012 - Now, National Delegate, European Health Psychology Society (EHPS). 2011 - Now, Associate Fellow (AFBPsS), British Psychological Society (BPS). 2006 - Now, Chartered Health Psychologist (CPsychol), British Psychological Society (BPS). 2006 - Now, Registered Psychologist (Health), Health & Care Professions Council (HCPC). 2017 - Now, Bachelor of Social Sciences in Psychology (BSSPSY), Programme Leader. 2015 - 2017, Bachelor of Social Sciences in Psychology (BSSPSY), Associate Programme Leader. 2013 - 2017, BSS Programmes , Admissions & Major Allocation Coordinator.